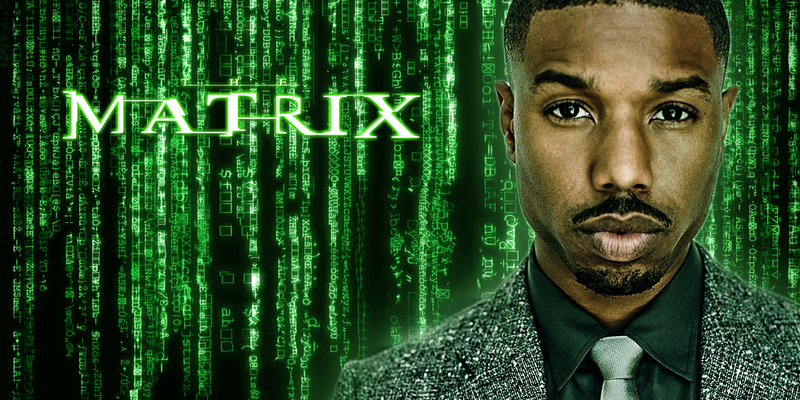 Warner Bros. is in the early stages of relaunching one of the most classic cinematic films of all times, The Matrix. Zak Penn is in talks to write a treatment for the new version and there’s reportedly potential interest in “Creed” actor Michael B. Jordan to star as the lead. The film is rumored to be centered around the back story of a young Morpheus. The Wachowski siblings, who wrote and directed the original Matrix and its two sequels, are not involved in the project. Whether they will be in the near future has yet to be determined. In 1999, The Matrix became the highest grossing R-rated film in North America, and the fourth-highest grossing film of the year worldwide along with winning four Oscars. Just a few weeks before this news broke, original Matrix star Keanu Reeves revealed he would come back to play Neo in a new Matrix movie, as long as the Wachowski siblings were on board to both write and direct. Whether or not that will happen is still up in the air, but if the studio is actually going with a different format for this franchise, that likely means the Wachowski siblings won’t be writing the script directly. Check This Out From Our Sister Site DigiLyfe Magazine! 24kt GOLD iPhone5, get yours today! !